Plochmann Lane: Spike Jones memorialized in The Band's "Up On Cripple Creek". Spike Jones memorialized in The Band's "Up On Cripple Creek". 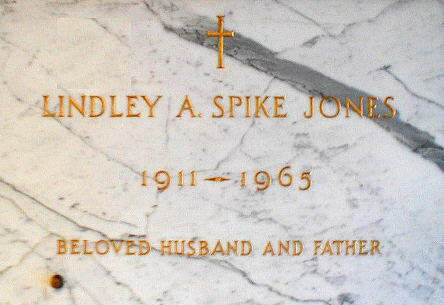 Spike Jones' crypt in LA. But I love to hear him talk"" - The Band's "Up On Cripple Creek"